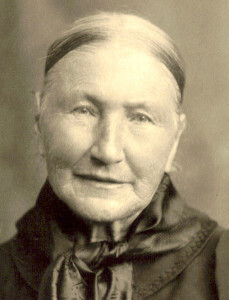 +++ +++ +++ +++ Bertha (1847-?) , Frederick (ca 1848-?) 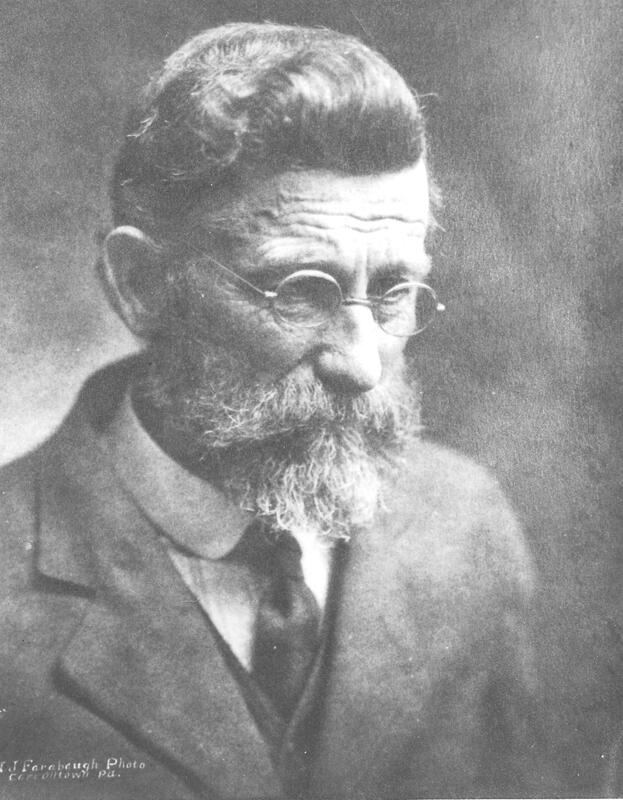 , Leonhard (1848-?) . ++++++ Isadore (1834-1882) , Matthias (1836-1924) . 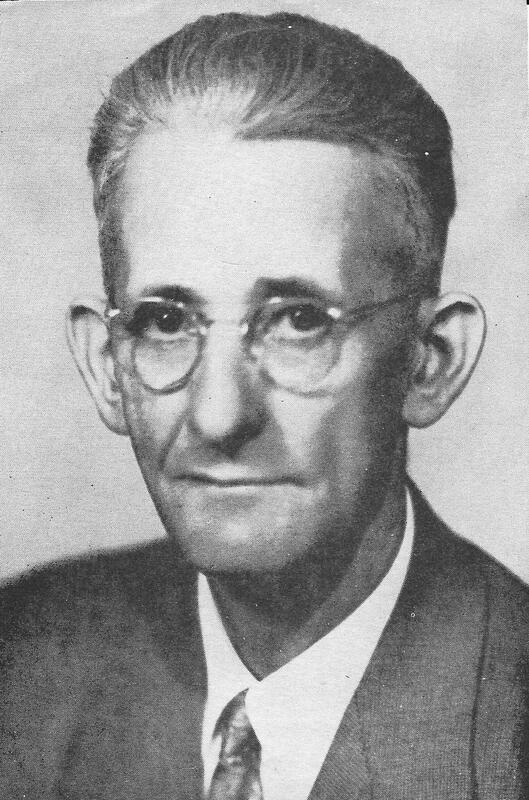 E. P. Bender’s raw account probably refers to maples, when it describes the pioneers’ interest in sugar trees. 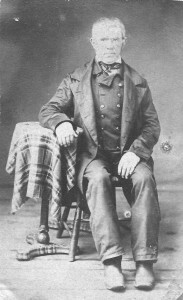 It is likely that they had hopes of making a fortune selling maple syrup, when they arrived at Loretto in the Autumn of 1833. Augustine was both a mason and a farmer. 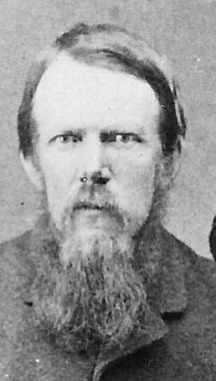 Over the next twenty years his work enabled him to acquire a 200 acre homestead in Allegheny Township, situated between Loretto and Carrolltown, another 100 acres between Carrolltown and Nicktown, and a house near the epicenter for all the German immigrants in the area — St. Benedict’s Church in Carrolltown. 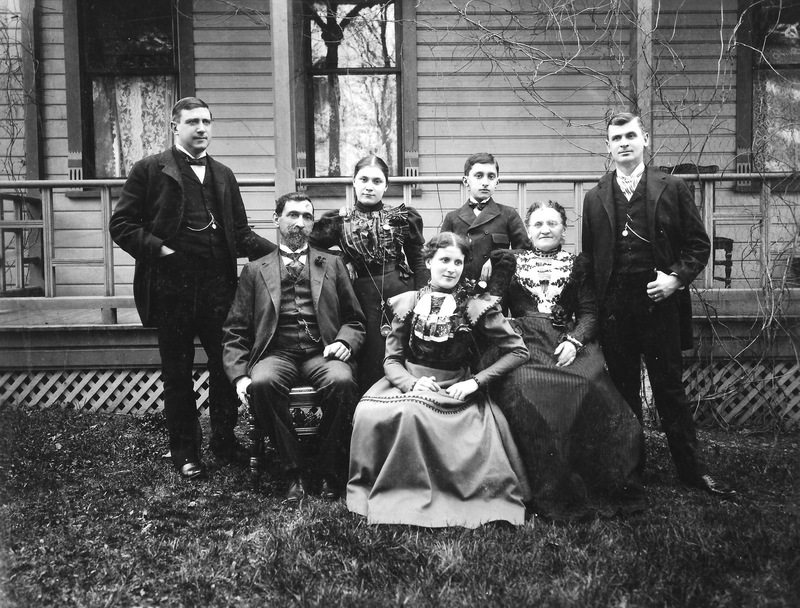 By the time he and Mary posed for these remarkable photographs, presumably a short time before her death in 1866, the Farabaugh children and grandchildren had sprawled in all directions. 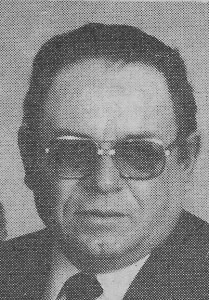 The details of Augustine’s successful farming operations – the clearing of land, the crops, the cattle, the hard won transactions – have not surfaced. 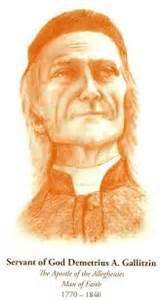 But there are many local accounts of his masonry work and generosity in church affairs. 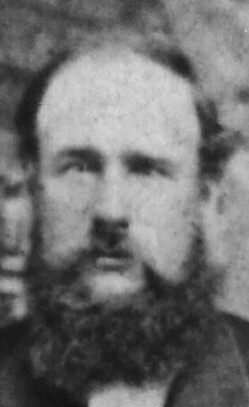 His will forgave a considerable debt owed to him by a Benedictine priest (over $4100) and his funeral in 1874 was the largest seen in the area at the time. 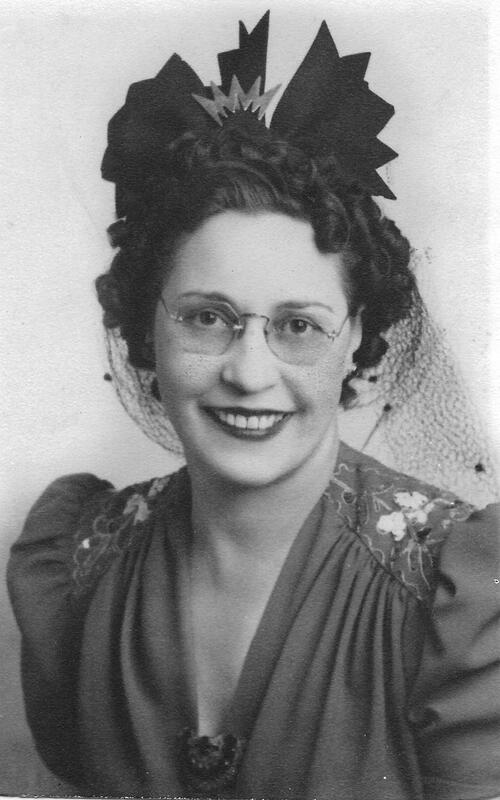 Mary may have been the dutiful wife. Perhaps her best statement can be found with a close look at her misshapen hands. 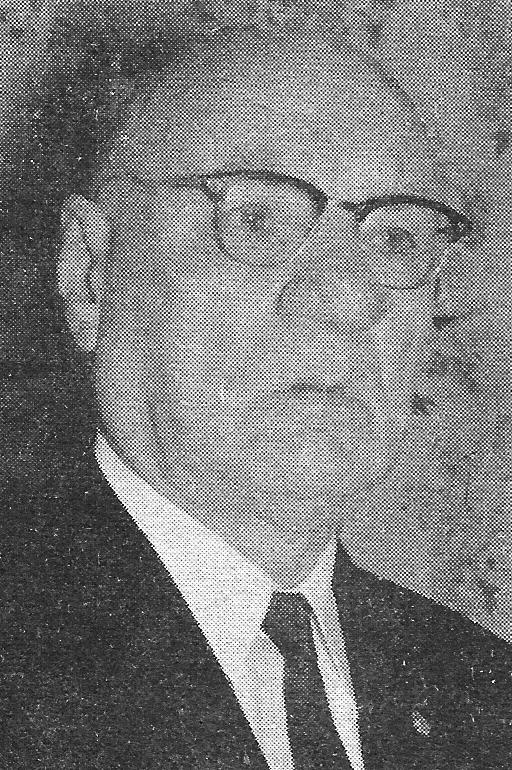 The farmland was divided in equal parts among the three sons Erhart, Leonard and Edward. Catherine was given the Carrolltown residence “for kindness bestowed,” and the residue was given to the children of the deceased daughter, Mary Cole. 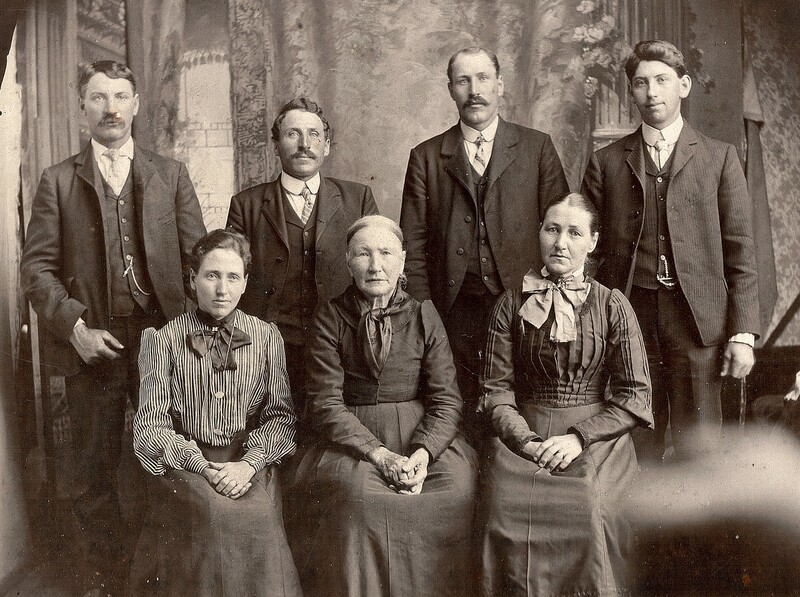 The Farabaugh name became ubiquitous in the area because the farming families were large and had a disproportionate number of men. 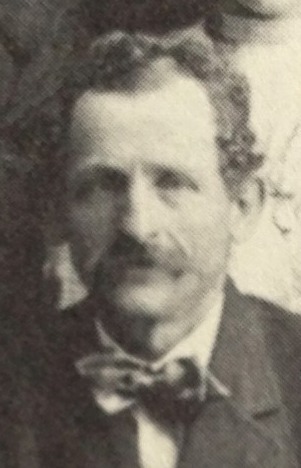 Among the early generations, there were Joseph Farabaugh (1854-1947) and his son Michael (1878-1959), both highly influential farmers and photographers. Fr. 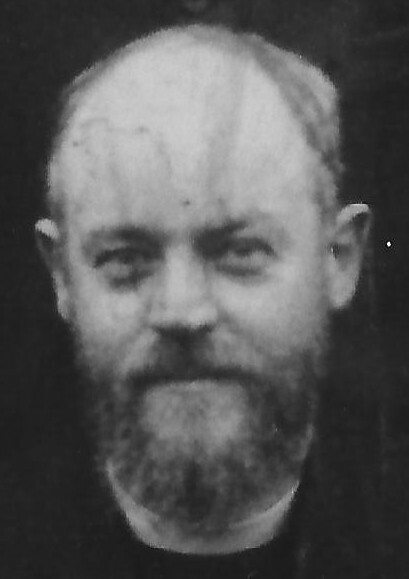 Modestus Wirtner, OSB (1861-1948) was a priest, historian and entomologist. 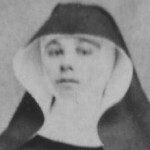 Mother Theresa Moser (1848-1918) was Prioress of a Benedictine Order in Kansas. 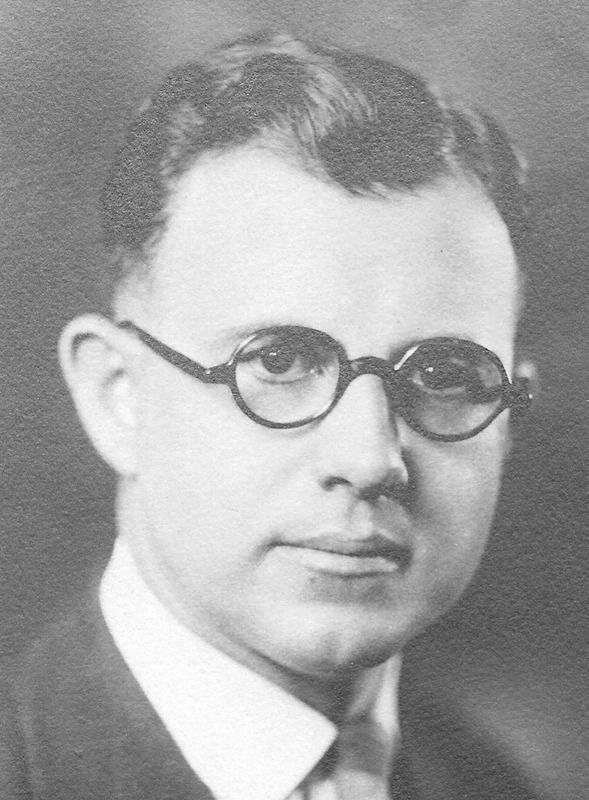 Dr. Charles L. Farabaugh (1888-1976) was a physician, family historian and much-loved personality. 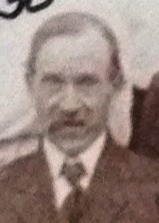 Walter (1893-1918) was a casualty of WWI, and but one of many Farabaughs who served in the Armed Forces. 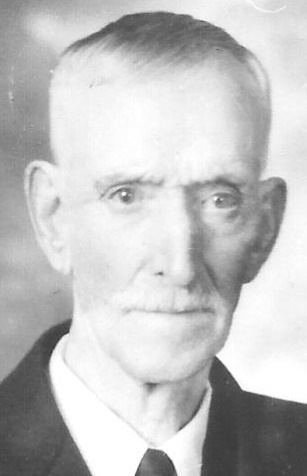 Englebert (1890-1970), James (1875-1958), Will (1877-1975) and Rupert (1893-1994) were all accomplished farmers. 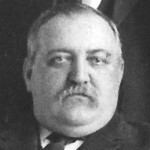 Isidore Farabaugh (1868-1958) was a highly successful brewmaster. 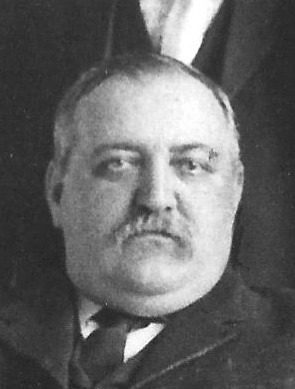 Sylvester “Sam” Farabaugh (1877-?) 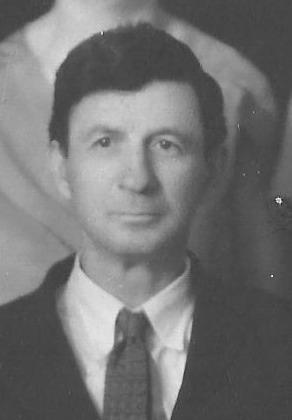 was a senior locomotive engineer with the PRR. 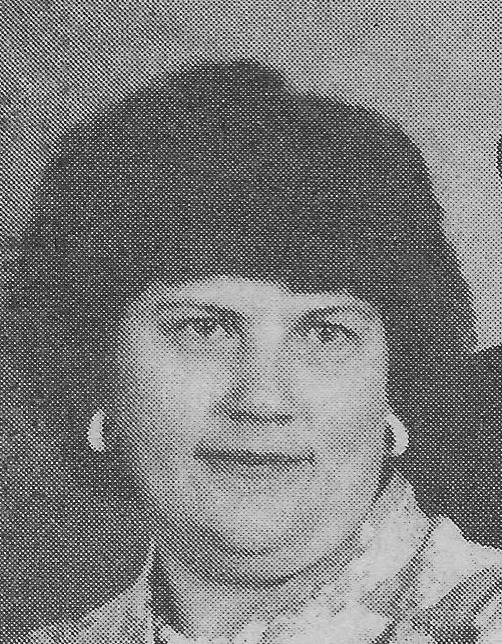 Mary (Farabaugh) Mangus (1896-1992) best represents the quiet religious devotion of the early generations; she was a constant, modest presence at St. Michael’s Church in Loretto for decades. 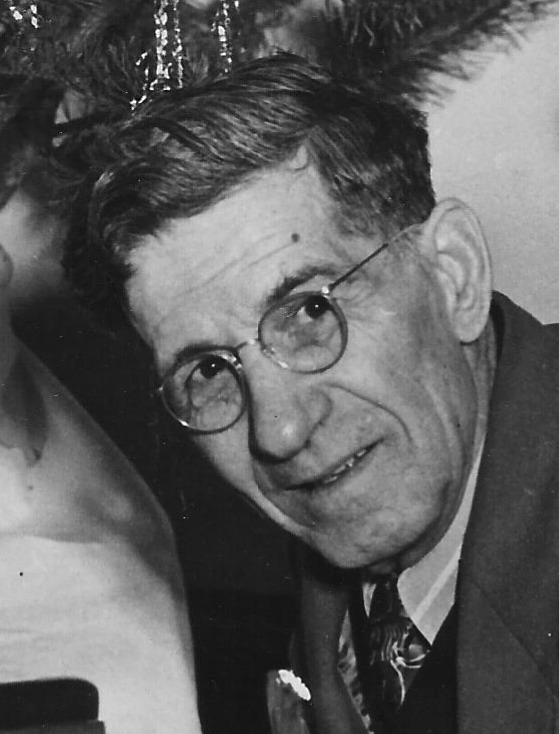 Among the notables who married into the clan were Pa. Master Farmer and state legislator Paul J. Yahner (1908-1993); Georgia Farabaugh (1898-1998), dynamic Mayor of Pueblo, CO; Sebastian Boxler (1858-1925) was successful with the Cambria Steel Works and a politician in Johnstown; Bede A. Bender (1888-1969) owned appliance stores known as Bender Electric; Michael Dishart (1861-1925) was a prominent attorney and lumber dealer. 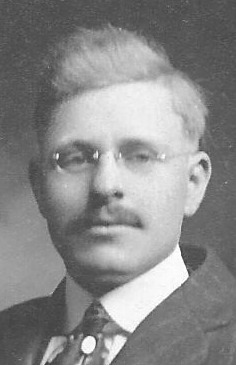 William Wetzel (1879-1938) was involved in a large scale dairy operation. William Cole (1830-1909) had several area sawmills. 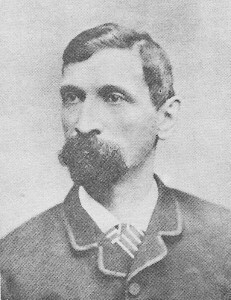 John Wirtner (1837-1931) was a tinsmith and was perhaps the first to open a hardware store in the area. George Langbein owned a harness shop in Patton, Pa.
Augustine’s brother Michael brought his family to Cambria County and lived in Carroll Township, shortly after the death of their father Johann George Fehrenbacher in Kappel, in 1851. Sons Charles, Barney and Anselm all served in the Civil War, with Barney being the casualty from typhoid fever — he is buried at the military cemetery in Alexandria, Va. 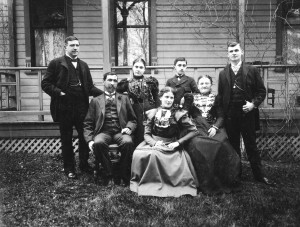 Sometime after 1870, Michael and his wife Gertrude relocated to Renville County, Minn., with their younger children. 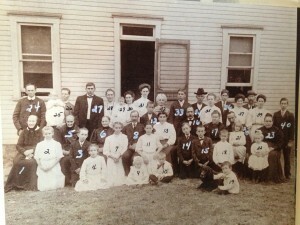 They were pioneer settlers there and their descendants populated the area with the “Farenbaugh” name. 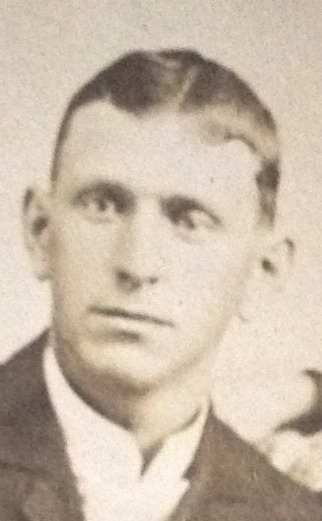 Michael, a stonemason, returned to Cambria County in 1897 only to succumb to “lung trouble” in 1899. 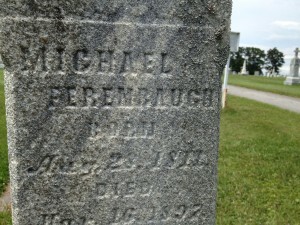 He is buried beneath an obelisk at St. Nicholas Church, Nicktown, Pa. The two brothers, George and Matthias, came to the United States in about 1846 and established adjacent farms in Carroll Township, not far from Augustine. In 1852 they each bought parcels of about 70 acres, paying $262.50 each from “Phebe Hains, widow of the city of Philadephia.” George’s farm reportedly began with corn and wheat as crops and grew to include potatoes, oats and cattle. The barn that was built in 1868 is still in use today and the parcel is occupied by his great-grandaughter, Cecelia. 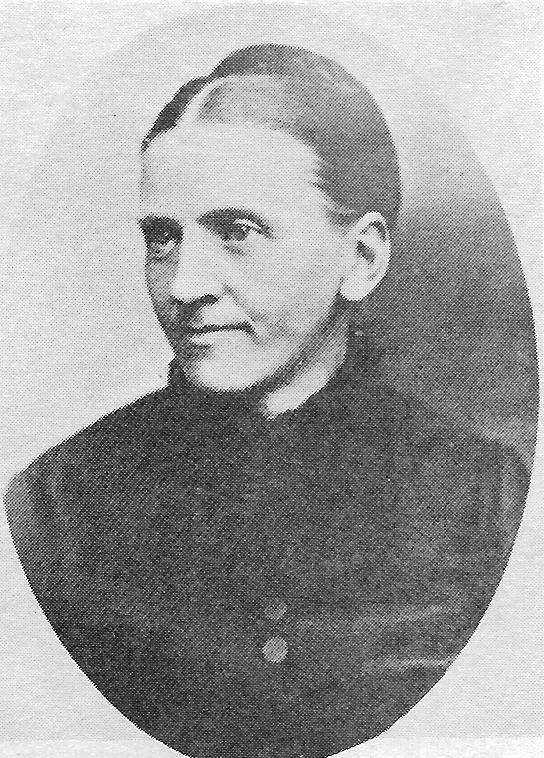 George’s wife Elizabeth Buehler/Biller (1831-1921) was also from Würtemburg, Germany, and survived as the family matriarch long after George’s death in 1884. 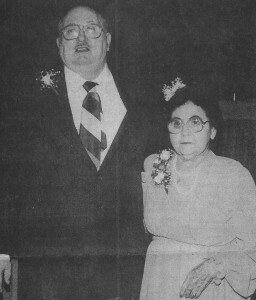 A mystery surrounds the first three children of this couple. 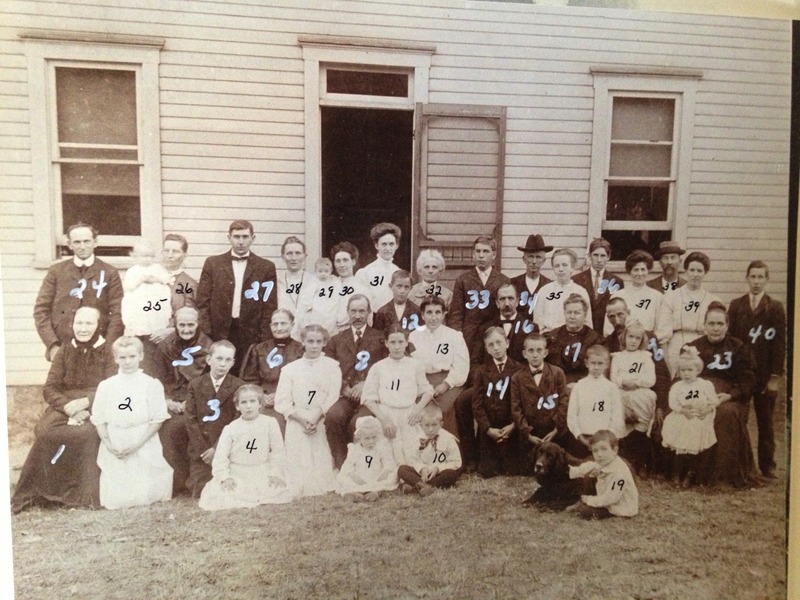 Their births/baptisms are recorded at St. Benedict’s Church in Carrolltown, and although it is believed they died young and were buried in the churchyard, no other record of them can be found. Sons Peter and Ed worked the family farm; Sebastian carried on the Farabaugh trade of stone masonry; Catherine became involved in one of the area’s most successful farming and mining operations following her marriage to E.P. Bender (1863-1925). 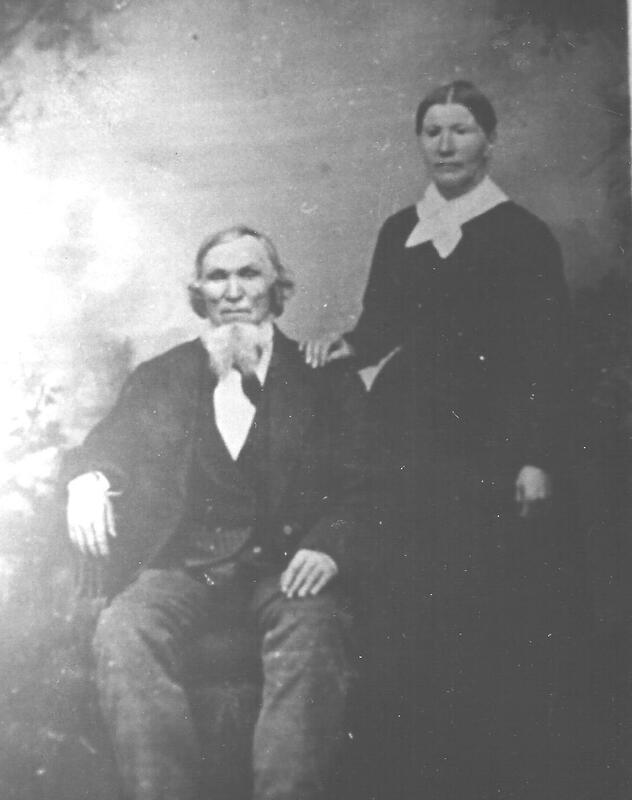 Mary’s marriage to William Springer (1844-1921) was childless, but they also had a local farm. 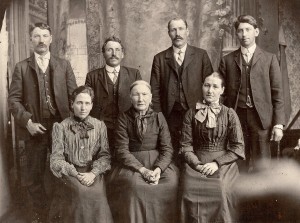 The youngest, William, was an insurance agent and had twelve children over a 50 year marriage. 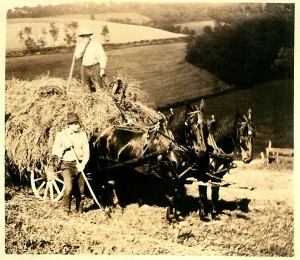 Peter’s sons Amandus and Urban are shown in several photos working the family farm and were the first in the line to have white collar jobs in Pittsburgh. Descendants Aaron and Alvin expanded the family’s farming operations near the homestead. 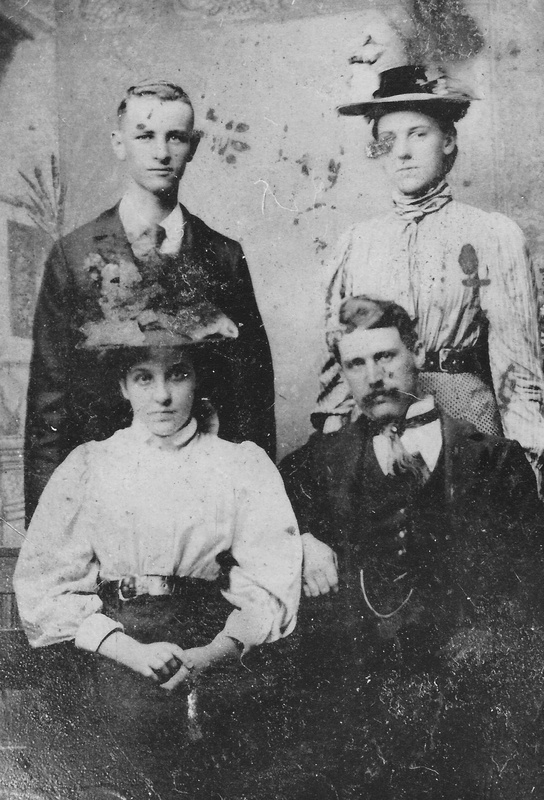 Peter and Elizabeth Farabaugh Family: Gilbert, Urban, Amandus, George, Mary (L to R). 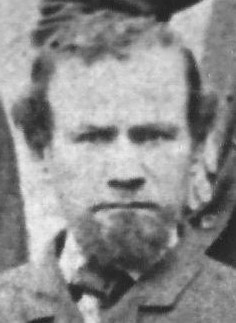 Matthias Fehrenbacher arrived in the United States through New York City in about 1846, but nothing else is known about him until he and his brother George bought their parcels together in Cambria Co. in 1852. He then married Theresa Herzog in 1853. He worked his farm his entire life, but was also a stone mason who helped erect the retaining wall at St. Benedict’s Church in Carrolltown, and placed the saint’s relic when the altar there was set. 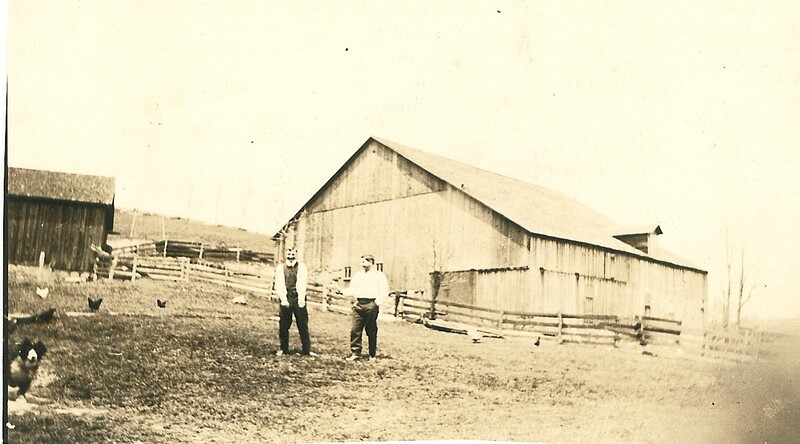 The oldest sons Henry and Peter established farms in Barr Township, and John overtook the family homestead. 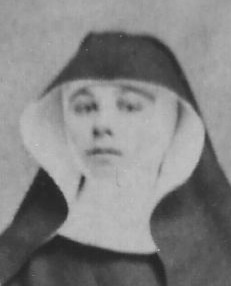 Daughters Mary Philomena and Matilda were Benedictine nuns in Pittsburgh. 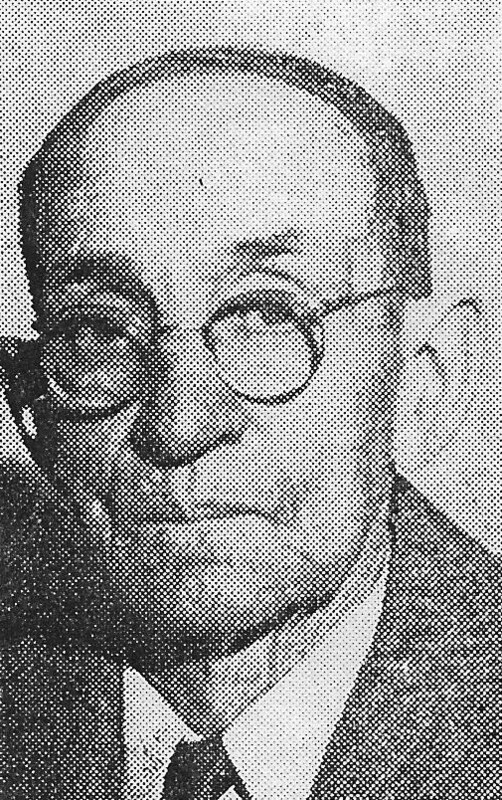 The next generation included the WWI Veteran and railroad foreman Elmer Farabaugh ; Jean Farabaugh , who owned and operated the “Ladies Shop,” with stores in Ebensburg and Patton; possibly the longest-lived Farabaugh, Catherine Beatrice Noel , at 102; and Dr. Donald Farabaugh of Daytona, Fla.
Viktoria Fehrenbacher was the youngest of the five siblings to immigrate. She arrived in 1853 with two nephews, most likely the sons of her half-brother Michael. 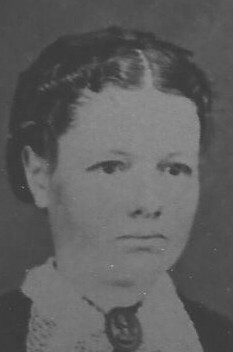 She lived and worked at the Union House Hotel in Ebensburg, Pa., operated by the John and Jane Ann (Brawley) Blair family, where in 1856 she had a daughter by Dennis Brawley. She later married Frederick Pichel/Bechel in 1859 at St. Benedict’s Church in Carrolltown. 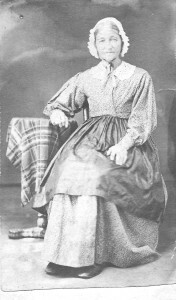 In 1880 her occupation was listed as a house keeper in Barr Township, with Frederick. 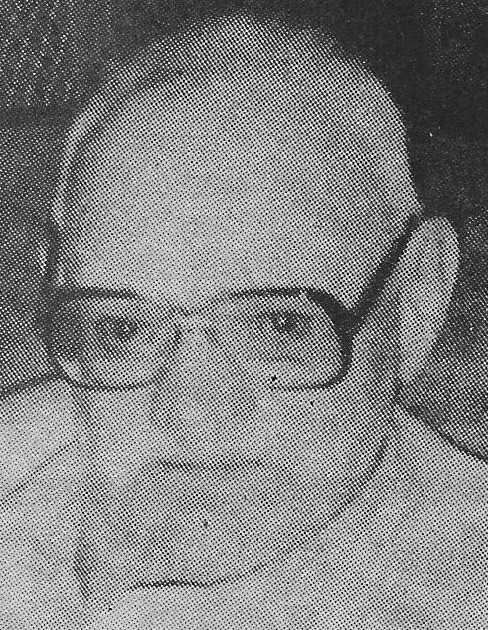 They had a daughter Mary who had a large family with Joseph L. Sherry and a son Henry Bechel who had a large family in Barr Township. 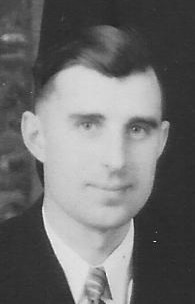 The native of Schuttertal, Michael Ferenbacher, was a brewmaster and wine curator in Regelsbach, Germany, before leaving for the U.S. through the port of La Havre, France. He arrived in 1841 with his wife Genevieve and two young sons; and following arrival in Cambria County did not seem to interact with the five Farabaugh siblings from Kappel. In 1848, Michael acquired 15 acres bordering Allegheny and Washington Townships, an area now situated within Munster Township, near Loretto. 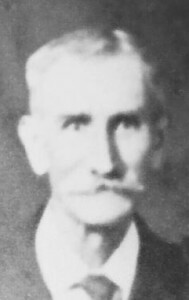 At various times, he was by occupation a cooper, farmer, carpenter and probably stonemason, before his death at the early age of 48. 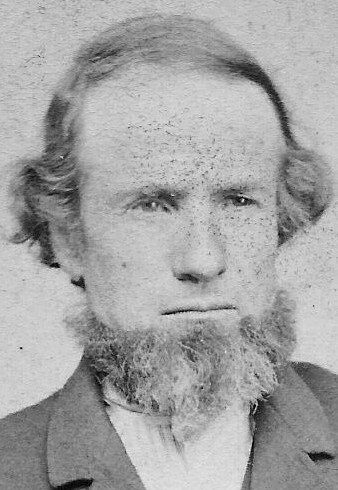 His first son Isadore was a wagon maker and blacksmith who married Elizabeth Flick, sister of the well-known physician Dr. Lawrence Flick. 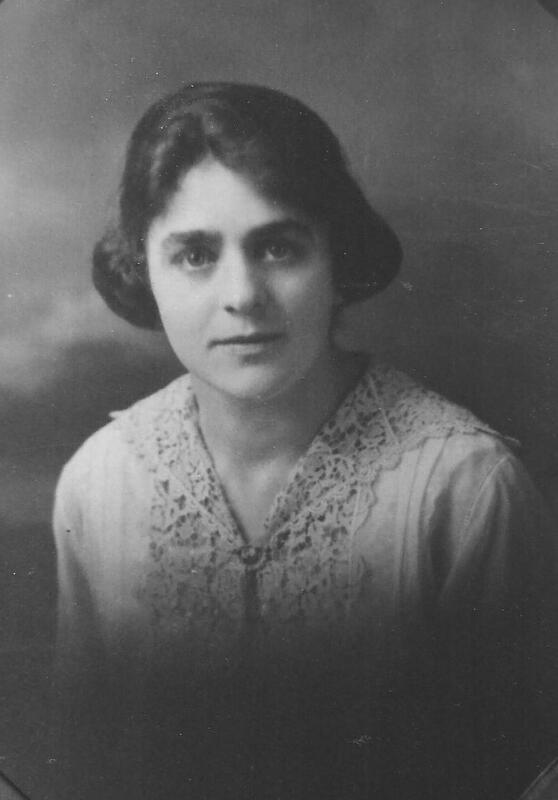 Sharp Avenue in Altoona is named after Elizabeth, because of her business successes in real estate and construction following the work of her first husband. 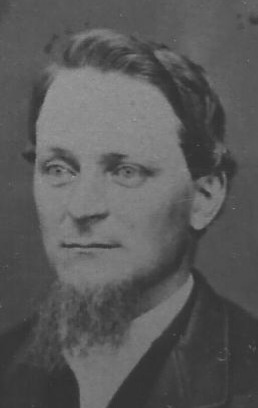 The second son Matthias was a carpenter and farmer; his son Gallizen Farabaugh was a jurist and law professor at Notre Dame. 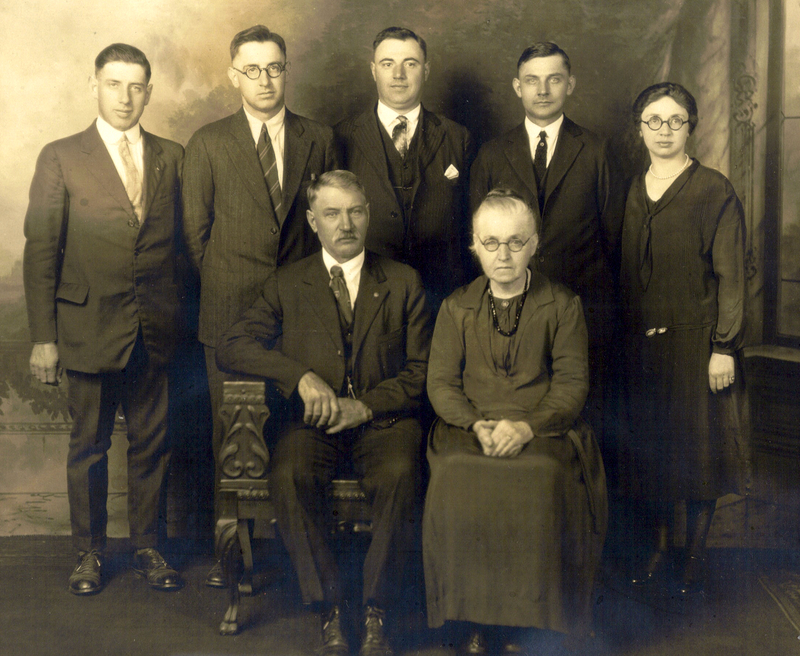 Pauline was the mother of one of Cambria County’s most famous natives, the steel magnate Charles M. Schwab. 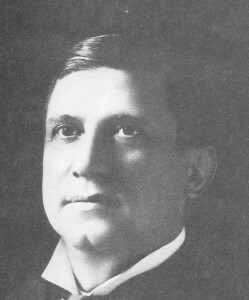 Charles’ phenomenal rise to become the first president of U.S. Steel and to later establish Bethlehem Steel created some opportunities for his brothers and his Farabaugh relatives, especially Lehigh University sports star Andrew Farabaugh, who became an important engineer and supervisor for Schwab in Mexico and Europe.